MITRE works daily to manage our impact on the environment. Our dedication to the LEED (Leadership in Energy and Environmental Design) certification program—a nationally accepted green building standard—especially reflects this commitment. In fact, 25 percent of MITRE's real estate portfolio will be LEED certified by 2016. 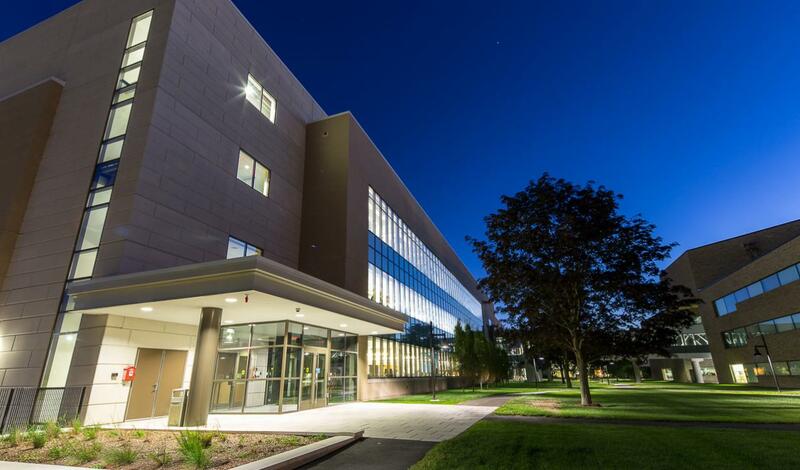 Since embarking on a campus modernization project more than a decade ago, each of our new buildings features a state-of-the-art heating and cooling system, energy-efficient lighting that adjusts for natural light levels, and water-saving fixtures. Solar panels generate electricity that blends with the building’s power supply. We also use environmentally friendly low volatile organic compound paint. To the greatest extent possible, we strive to use locally sourced sustainable building materials. During construction, special attention is paid to the volume of waste material recycled. Our newest office building, scheduled for completion in 2016, will even include a cistern to capture rain water that will be filtered and used by the building’s chillers, which reduces demand on the municipal water supply. By maximizing efficiencies, reducing consumption and waste, and improving our conservation of water and energy, we serve as good stewards of both our natural and financial resources.